What a wonderful, fun Vacation Care we have had! 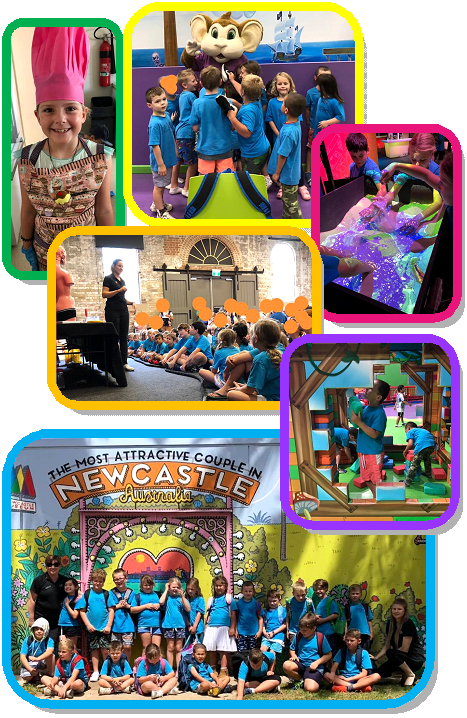 Highlights included in-house cooking days with several kids revealing secret cooking talents, our excursion to Monkey Mania and Clip N Climb, with plenty of sliding, building, climbing, bouncing and the kids really enjoying themselves, and our trip to The Newcastle Museum, which involved lots of investigation and discovery. That said, it is hard to choose a favourite. Our regular before and after school care service resumes on Wed 30th Jan 2019.